Seollal, the Lunar New Year, is one of Korea’s most popular holidays. It takes place this week and ushers in “The Year Of The Horse.” It’s called a lunar new year because it coincides with the second new moon after the winter solstice. Koreans get to celebrate New Year’s twice. There’s New Year’s Day on Jan. 1, which is the same holiday celebrated in Europe and the Americas. And then there’s Seollal, which is like Christmas, New Year’s and one large national birthday celebration rolled into one. It’s a three-day national holiday with traditions and rituals that require considerable preparation. The week leading up to Seollal is a busy one as people buy food and gifts, cook and make travel plans. 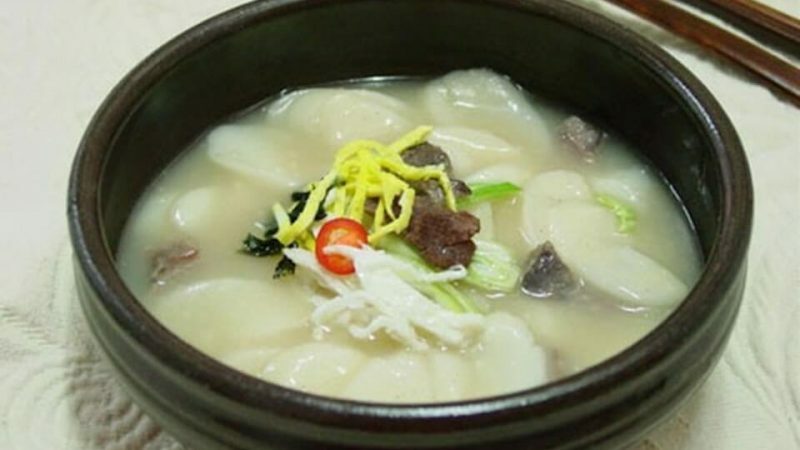 Traditional holiday foods include a rice cake soup known as tteokguk, wild vegetables, savory pancakes, fish, rib stew and noodles with meat and vegetables. Traditional meals can take up to a day to prepare. Some families prepare the food themselves but others order it in or have potluck celebrations. When people finish eating tteokguk, they are officially one year older, no matter how many actual birthdays they have had. To find out how old someone is, a person may ask how many times he or she has eaten tteokguk. On New Year’s morning, people may put on new clothes purchased specially for the holiday and in some families may wear the traditional hanbok. In many homes a traditional ancestral rite is observed. This ritual includes offering food to the family’s ancestors by placing it on a special table. After the ritual, everyone shares the food. Not all families perform these rituals, some prefer to simply eat and spend time together or take a family vacation. After the meal, the younger family members usually pay their respects to the family’s elders with a deep bow known as a sebae. Gifts are exchanged and children are often given sebaetdon or New Year’s money as a gift. After gifts are exchanged, the rest of the day may be spent playing games or watching a movie. This year is The Year of The Horse. People born this year are said to be cheerful and open-minded. They are likely to succeed but can be self-centered and should be cautious with their money. Celebrities born in the Year of The Horse include Park Shin Hye, Go Ara, Kang Sora, Baek Jin Hee, Girls Generation’s Sooyoung and Yoona, Ha Yeon Soo, Shin Se Kyung, 2PM’s Chansung and F.T. Island’s Lee Hongki.